A RGB false color composite is created based on TOA-Reflectance of bands B11, B08 and B04 at a spatial resolution of 20m (10m bands are resampled to 20m using NN approach) and converted to 8bit (Byte) using a scale factor of 0.051 for optimal visualization. 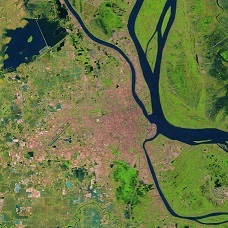 Prototyping and processing has been done in Google Earth Engine. 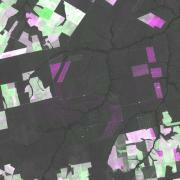 Options for downloading the S2 mosaic (GeoTiff) will be available soon. - An innovative Sentinel2 L1C cloud/shadow mask has been developed and implemented at local/regional scale, leading to a substantial improvement in sharpness and global quality. New composites over the tropical belt are under processing and will be uploaded in the next days. - Indication for potential change between 2015-7 / 2018 composites computed 'on the fly' based on simple spectral distance of SWIR1 bands. 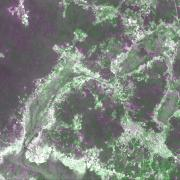 The product may serve as quick "alert" for potential forest and land cover change, to be then confirmed by visual verification. 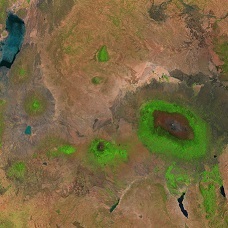 Violet and green colors correspond to an increase (e.g. soil component) and a decrease (absorption e.g. 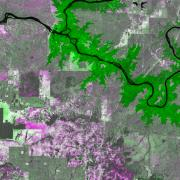 due to vegetation growth or water) in the SWIR1 band, respectively. Due to different processing buffers, artifacts may occour along edges. 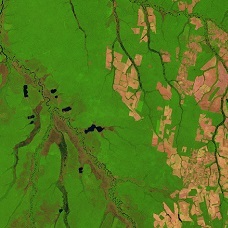 Sentinel-2 web platform for REDD+ monitoring,online web platform for browsing and processing Sentinel-2 data for forest cover monitoring over the Tropics.